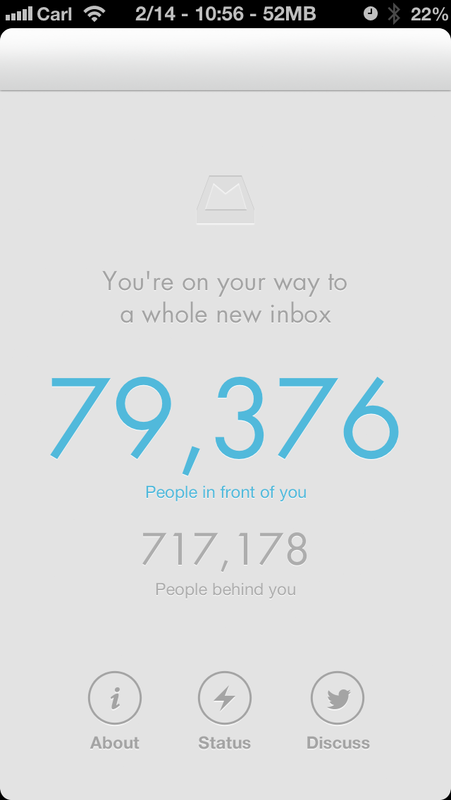 You may have hear of the new Mailbox app for the iPhone. I am looking forward to using it soon. We redesigned the inbox to make email light, fast, and mobile-friendly. Quickly swipe messages to your archive or trash. Scan an entire conversation at once with chat-like organization. Snooze emails until later with the tap of a button. It's a whole new inbox. Designed 30 years ago, traditional email transmission is clunky and slow. To make delivery as fast as possible, Mailbox checks your email from the cloud, then delivers it to your phone securely. You can even get push notifications for new messages. Put it off until tomorrow. Stop staring at emails you can't deal with now. Mailbox lets you put off messages until later with a swipe and a tap. Snoozed emails return to your inbox automatically, so you can focus on what's important now. When your inbox holds just the stuff you need to address now, email feels lighter and faster. 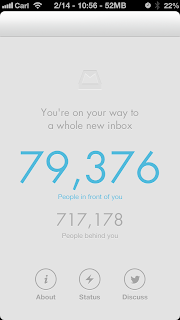 Mailbox makes getting to zero — and staying there — a breeze. After you experience a clean inbox, you'll wonder how you ever lived without it. In order to provide a robust, world-class email service, we are filling reservations on a first-come, first-served basis. I did have a quarter of a million people in front of me. - Cannot select a portion of text in an open message to have the reply include only that portion of text. evasi0n - iOS 6.x Jailbreak was released today!